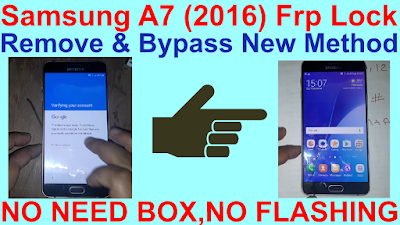 Home / Samsung A7 (2016) Frp Lock Remove & Bypass New Method. / videos / Samsung A7 (2016) Frp Lock Remove & Bypass New Method. 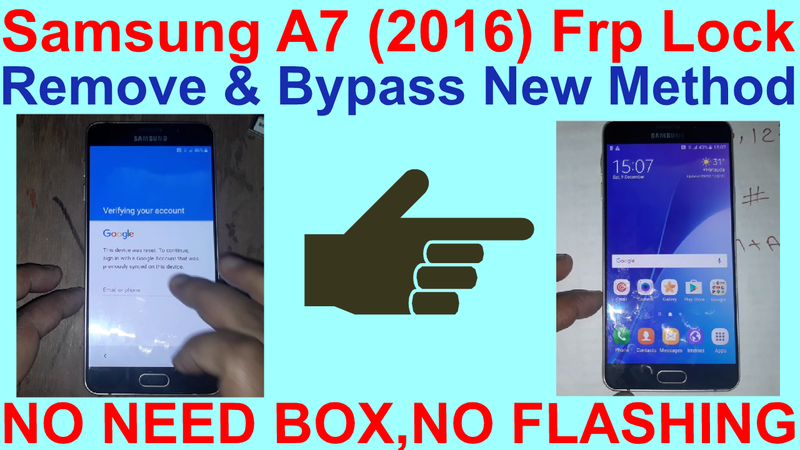 Samsung A7 (2016) Frp Lock Remove & Bypass New Method. Samsung A7 (2016) Frp Lock Remove Required File. 1# Download Frp Remove Tool. Samsung A7 (2016) Frp Lock Remove Method. 2# Open samsung keyword setting. 3# Go to keyword size open. 4# Types any words and select all. 5# Now show assist open it. 6# Now open your phone brwoser. 7# Types Calculator open it. 8# Now types "(+30012012732+"open drparser mode. 11# DM+MODEM+ADB select and click rebot tab. 12# Now your phone rebot and connect to pc using usb data cable. 13# Your phone show adb. 14# Open download adb tool. 15# Click frp remove tab. 16# Your phone open normal mode. 17# Go to setting and account. 18# Now logine new gmail id. 20# Now add new gmail few ago logine gmail. 21# Go to setting and go to account. 22# Now remove your logine gmail. 23# Now your A7-6 FRP lock remove complite.